Hailey-Shay Cassie checks out her story in Volcano Stories, a collection of 26 stories from children about living with a volcano. 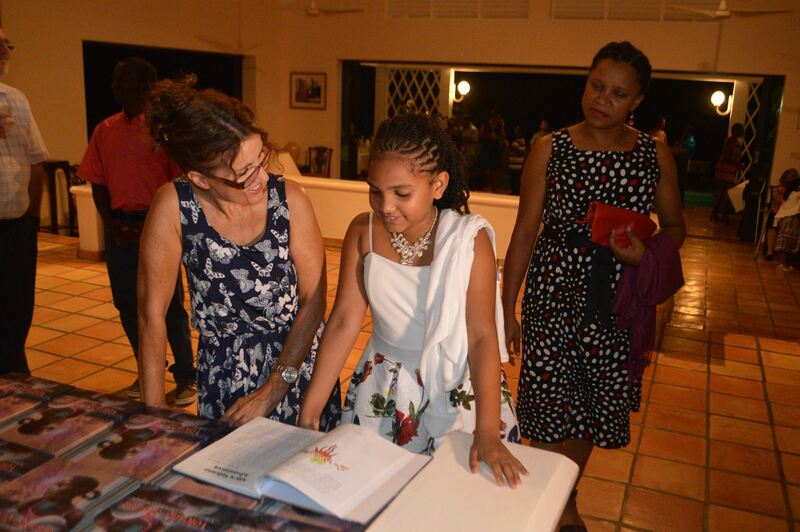 The Montserrat Volcano Observatory (MVO), in partnership with the UWI Seismic Research Centre (UWI-SRC), has launched a children’s book entitled “Volcano Stories.” The launch took place on Thursday, January 26 at the residence of Her Excellency the Governor, Elizabeth Carriere. Governor Carriere congratulated the students for their work and the MVO for bringing it all together in a stunning hard cover book. The one-of-a-kind storybook features the 26 winning entries from the 2013 Creative Writing Competition hosted by the MVO, where teenagers and children were invited to submit stories under the theme “A Volcano’s Touch”. Illustrated and brought to life with colourful artwork by various Caribbean artists, this book, suitable for both children and adults, takes the reader to fantastical worlds on volcanic adventures of all kinds, and also to explore Montserrat, the beautiful Caribbean island where so many lives have been touched and forever changed by a volcano. Montserrat’s Soufrière Hills Volcano has been erupting since 1995, rendering more than half of the island uninhabitable, including the capital city Plymouth. Montserrat has managed to rebuild itself and adapt to living with an erupting volcano. “Volcano Stories” is the only book of its kind as it highlights living with the volcano and the process of adaptation from the unique and imaginative perspective of Montserratian children. 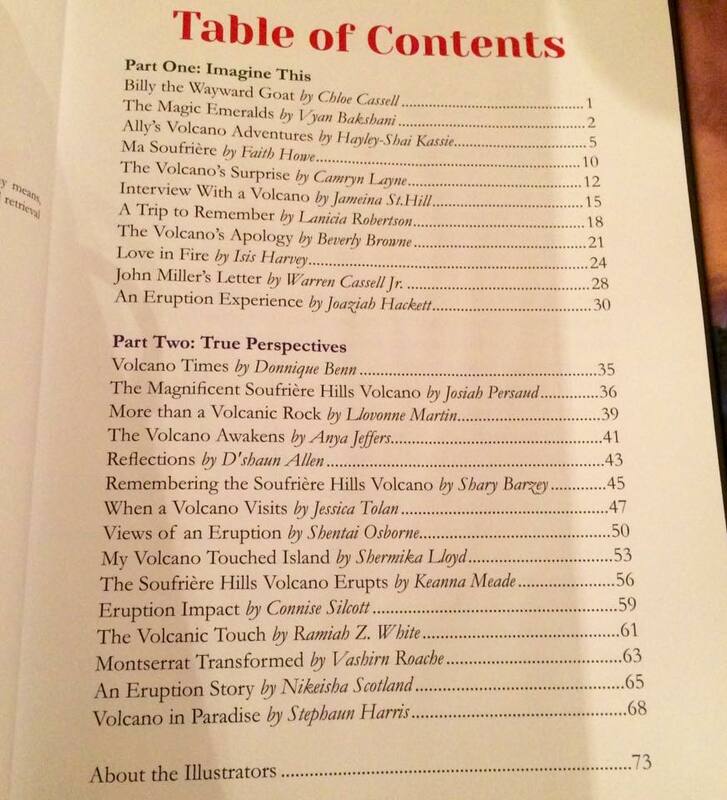 “Volcano Stories” has also received support from Montserrat’s Ministry of Education and is currently available for purchase at the Montserrat Volcano Observatory in Montserrat, select bookstores in Trinidad and online through Amazon. For further information please call the Montserrat Volcano Observatory or the UWI Seismic Research Centre.